That’s no Moon, that’s a jet engine: Boeing on Friday said it had hung the first two General Electric GE9X engines under the wing of its first 777X test aircraft, WH001. 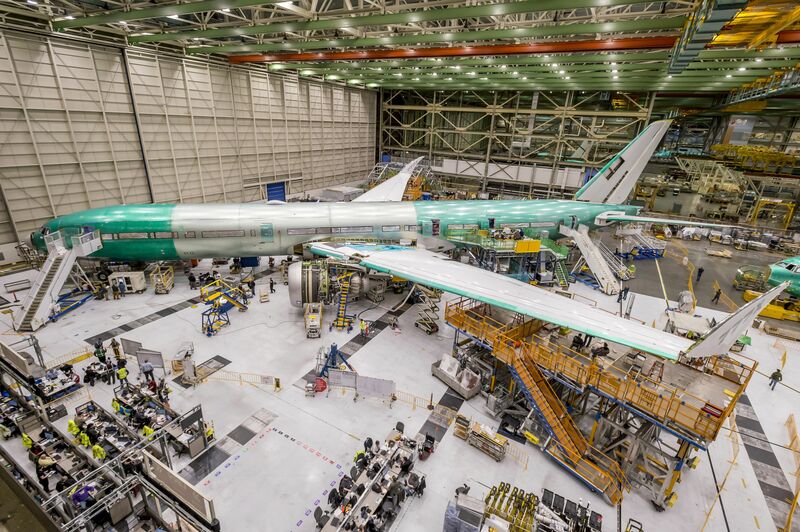 The aircraft is progressing toward its factory roll-out after Boeing completed the structural assembly of the aircraft in November and the activation of its electrical and hydraulic systems in December. 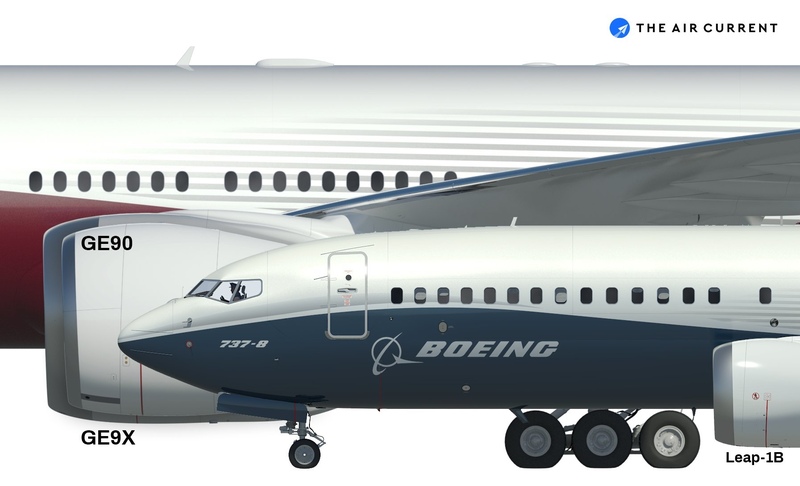 Boeing’s initial plan was to hang non-flying engines for early system tests to keep the program on schedule, but the company said that the GE9X units hung under the wings of WH001 are the ones that will be used for first flight. The largest engines GE has ever developed are still in the process of being flight tested and certified on the company’s 747 flying test bed. Just how big are they? Here’s the comparison you’re looking for. 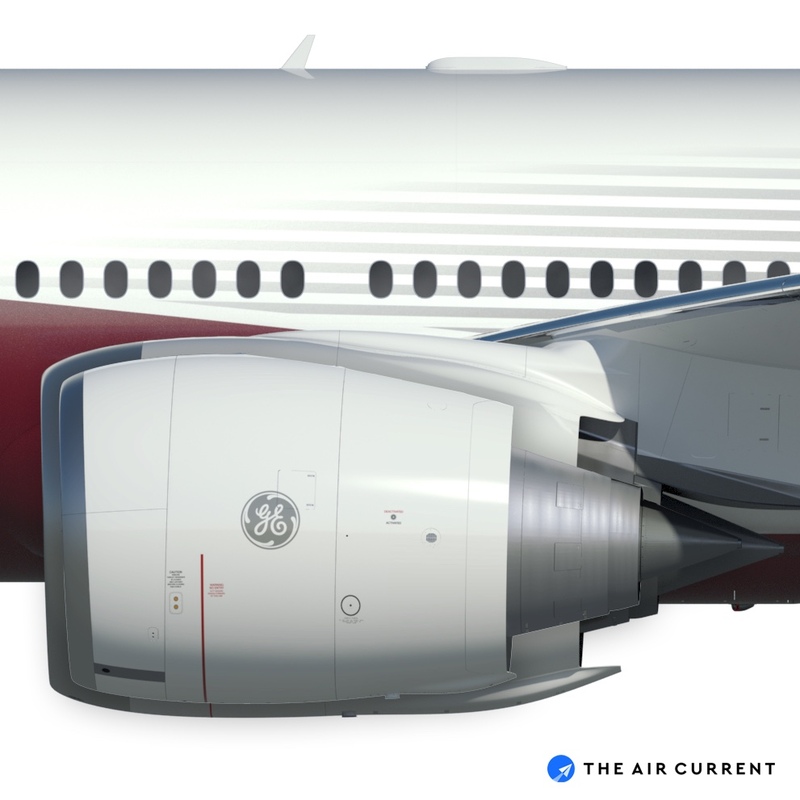 Is the new 134-inch diameter GE9X engine on Boeing’s 777X as big as a 737 fuselage? No. It’s even bigger. While they are significantly larger than the now-puny GE90 (the most powerful turbofan ever developed), the GE9X produces less thrust than its predecessor. At 105,000 pounds of thrust each, that’s 10,000 less than the GE90 that powers aircraft like the 777-300ER. With its larger wingspan and wing area, Boeing designed the jet to not need as much of a push to get off the ground with the added lift. –J.O.